If you've never been to Pittsburgh, I should probably let you know that this t-shirt is only a slight exaggeration. Some of the more extreme street signs actually do look like a cat-o-nine-tails. 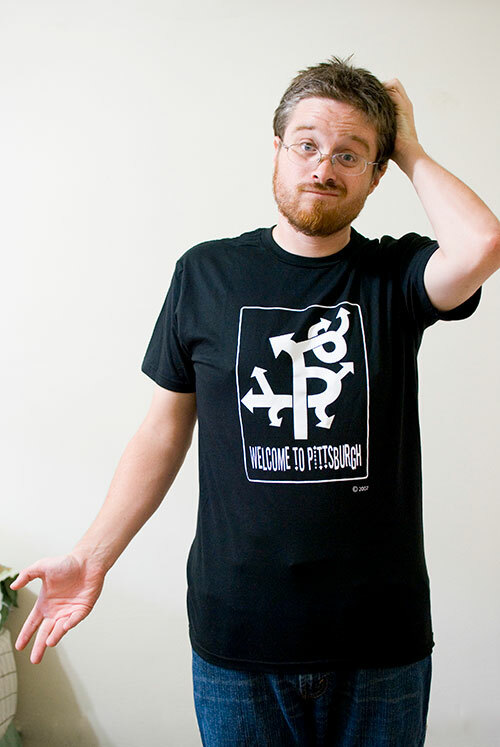 A "Welcome to Pittsburgh" shirt from Rusty Waters Apparel.